Why would I need self storage in Stuart, FL? There are a variety of reasons why you might need self-storage in Stuart, FL. How much is a storage unit in Stuart, FL? The cheapest storage unit in Stuart, FL is $86.00 per month. What size storage units do you have available in Stuart, FL? In Stuart, FL we have sizes that range from 5'x10' to 15'x20' to suit your storage needs. How much is it for a 5'x10' storage unit in Stuart, FL? The cheapest 5'x10' storage unit in Stuart, FL is $86.00 per month. Stuart is a small city on the Atlantic Coast of Florida between Palm Beach and Vero Beach. 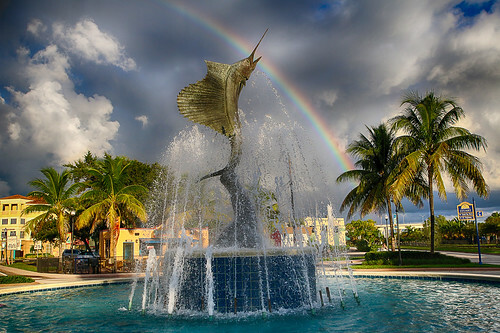 It's known as the "Sailfish Capital of the World," and also often named as one of the best small towns to visit in the nation. Many visitors are attracted to the area for its proximity to the Indian River Lagoon and the St. Lucie River. Stuart is one of several Treasure Coast communities, so-named for the Spanish shipwrecks in the 18th century that emptied a large amount of gold and silver into the ocean. The area was also known as being a favorite spot of pirate Pedro Gilbert, who took advantage of a nearby sandbar to target numerous ships. The first non-native settlers arrived in the area in the 1870s, and a few years later, a U. S. Lifesaving Station was built on Hutchinson Island (near present-day Stuart). The community was known as Potsdam until the late 1890s, when it was renamed after a local landowner. Many of Stuart's highlights are on the water, such as the soft sands and sea turtle nests of Stuart Beach and the gentle, child-friendly surf created by the reef at Bathtub Beach. Step away from the coastline and you'll find quaint highlights like a charming, historical downtown and several locally-owned shops and restaurants. The two-mile Riverwalk is another popular local attraction, as is the Stuart Heritage Museum. Locals and visitors alike also enjoy cultural institutions like the Lyric Theatre, the Elliott Museum and the Geoffrey C. Smith Galleries. The Tropical Ranch Botanical Garden is free of charge and the only botanical garfden in the entire county. Its owners opened the gardens to the public with the goal of teaching people about home gardening, and it now houses several themed areas with a number of rare plants. Students in Stuart attend the Martin County School District, which includes elementary, middle and high schools as well as a few charter schools. You can also enroll your child in one of the area's private schools, many of which are affiliated with local churches. Utilities: Florida Power & Light and the Stuart Utility Division provide basic utilities to the area. Garbage and Recycling: Trash and recycling are collected on a regular basis throughout Stuart's residential areas. Transportation: The Stuart TRAM offers public transportation to several popular destinations in Stuart, including local medical facilities, churches, parks and government offices. Home prices in Stuart are on the rise, which is likely good news if you're hoping to make a lasting investment. The median home price is slightly above the national average, but still fairly affordable considering Stuart's coastal location. You'll find many home styles, sizes and price points to choose from, including luxurious waterfront estates, mid-priced ranch-style homes and cozy, relatively budget-friendly town houses. Our lowest priced units in Stuart, FL average $86.00 per month. 54 people have reserved units in Stuart, FL in the past 30 days. There is 1 location within Stuart, FL's city limits. There is 1 location in Stuart, FL that offers AC and Heating features.